we’re really digging Goran Kling’s dope watch/bracelet combos. if only I owned that many Hermes bracelets, I’d wear them all at once as well. at Motorino in the East Village…how do three people consume $180 worth of pizza and wine? when freaking out over jewelry, apparently. So the watch is vintage 80s Casio gold-plated base metal. The other watch (on wrist) is vintage 1960s Bulova with black cord band and gold details. Was my granny’s. The colorful string and bling bracelet is from Henri Bendel. I love their clutches and costume jewelry! The goldfish is 24k gold with ruby eyes, vintage from the 1970s. Was my mom’s. 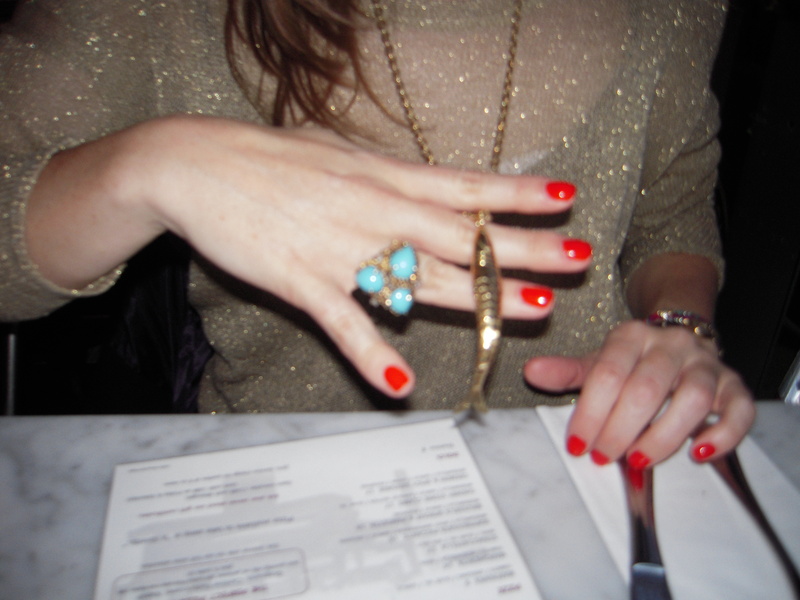 The huge turquoise ring was purchased at an antique store in Washington, DC. Nail polish? Essie Clam Bake! you know I’m only loyal to you. 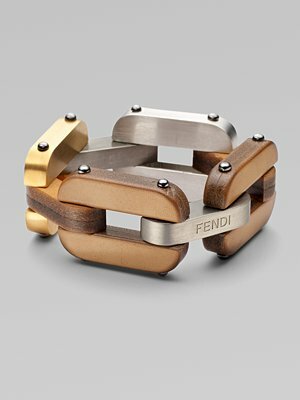 but I’ve always had this little itty bitty thing for Fendi. and I think this bracelet is the only way to solve it. one of our goals (besides remembering to blog) is to share more of our favorite jewelry pieces. our dinner date in Santa Monica provided the perfect opportunity. I arrived wearing shorts, and S arrived rocking some serious gold jewelry. 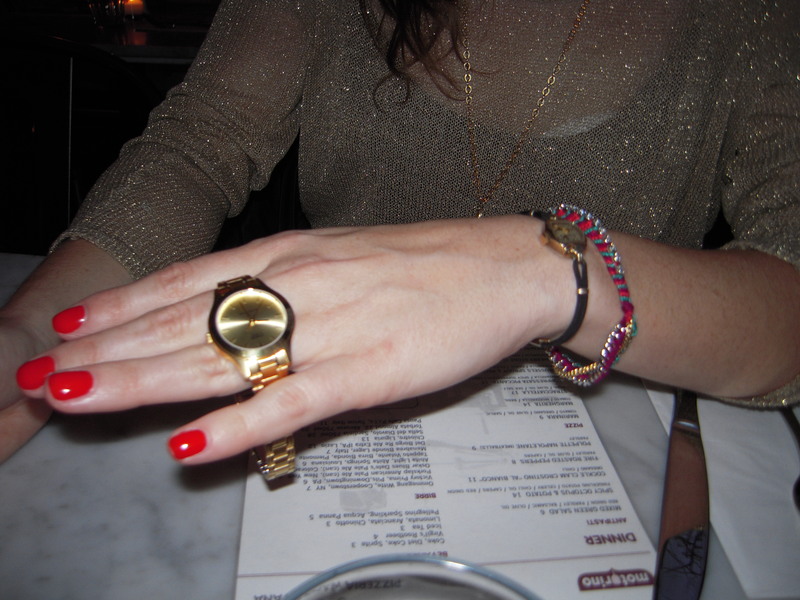 it’s refreshing to know that after 5 years, some things never change…good times, good peeps, good drinks, good jewelry. ever since I saw this image a few weeks ago, I’ve been mesmerized.